Image credit Wikipedia user Scartol via Wikimedia Commons. “If I were God,” Chinua Achebe writes in The Novelist as Teacher, “I would regard as the very worst [sin] our acceptance—for whatever reason—of racial inferiority.” Even though Achebe is not God, it doesn’t stop him from calling down fire on Africans he sees as accepting of racial inferiority. One of the victims of Achebe’s fury is a boy. Since we do not know his name, we will call him the Blasphemous Weather Boy or simply BWB. Colonialism was a savagely violent power. It left behind traumas, both psychological and cultural, that we are still trying to understand to this day. Read up on Frantz Fanon’s clinical and political writings, and you’ll get the picture. Still, we can agree that Achebe’s example of racial inferiority as derived from colonialism is a bad example. Where Achebe sees racial inferiority, we could easily see a kid experimenting with language. BWB is in an experimental phase of his life. He is beginning to realize that words are complicated and confusing but that they also do very strange and illicit things. Through the word “winter,” he imagines that he can escape the perceived humiliation of “harmattan.” That sounds messed up, but it shows us a child getting a feel for the power that lies in words. Words have power and letting oneself fall under its spell, no matter how improper the intentions, is the essence of creativity. Was BWB a heretic or was he simply being creative? It is hard to tell. Frankly, the argument could go either way. 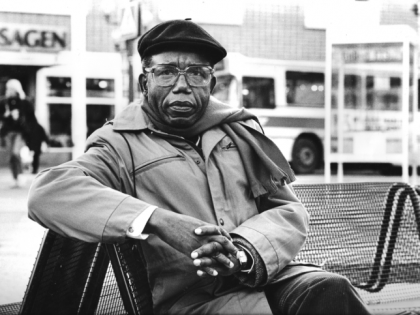 What we do know is that Achebe believes BWB has crossed some line of orthodoxy and expresses his disapproval in terms that are worth questioning. But all that is beside the point except that BWB’s alleged blasphemy is what Achebe states as justification for his role as a writer: “I think it is part of my business as a writer to teach that boy that there is nothing disgraceful about the African weather, that the palm tree is fit subject for poetry.” This makes one wonder: is this how Achebe imagined the people for whom he wrote his novels, that they carried within themselves imperfections so extreme that these imperfections needed to be “purged?” How does that way of imagining a reader define the writer’s aesthetic decisions? How do we write differently when we imagine that we are being read by a deeply broken people? What culture of reading does it foster? What fantasies about the novelist’s power does it propagate? The essay in question was originally published in the British magazine, New Statesman in 1965. 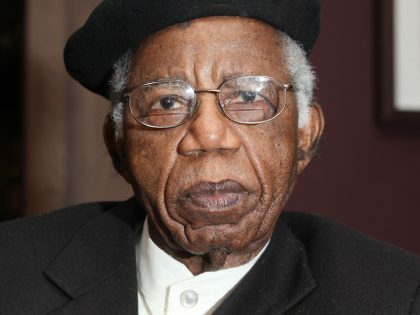 Achebe set out to identity what was unique to African fiction by critiquing what he saw as a weakness of European artistic practice. In seeking to protect art from the assault of mass culture, European artists isolated themselves from the collective and, as a result, produced art without a cause, without skin in the game, art folded in upon itself like the proverbial ostrich, blind and deaf to the world, art that was essentially empty. What Achebe couldn’t quite swallow, and he was right, was the eagerness to make this farcical idea of art a gold standard for everyone. It was clearly a bad solution to a problem unique to Europe’s aesthetic history. African writers on the other hand, had a whole different set of concerns. Against the absurdity of fiction without a cause, Achebe proposes that storytelling is “essentially about education, in the best sense of the term.” He adds, “art is important, but so is education of the kind I have in mind.” For Achebe, art and education are not in opposition. Education is simply the highest use to which art can aspire—its sublime essence. Education closes the gap between life and fiction so that artistic energies can be channeled into the nourishment of the collective. Our lives inspire our stories so that our stories can enrich our lives. All of this sounds so beautifully moral and philanthropic until we ask ourselves what kind of reader underlies this vision of art. As the title of the essay, “Novelist as Teacher,” makes clear, the star of Achebe’s art-for-education philosophy is the novelist. But if the novelist is a teacher, what does it make the reader? What does it say about the literary text? It is odd to cast the novelist in the figure of the teacher. For one thing, the teacher conjures up a certain kind of melancholy associated with the labor of study and contemplation. The teacher as a stentorian schoolmaster is confronted by the student as a sad, contemplative, serious, and absorbed figure. The teacher marks a space of life that excludes pleasure, play, love, passion, experimentation, unpredictability, risk, and so on. And if you are Nigerian and you went to school in the poor side of town, like I did, you probably also see the teacher as a figure of violence—all the beating and insults justified by the claim that it molds you into a better person. Representing the novelist in the figure of the teacher does two things. First, it justifies a whole range of aesthetic considerations that frees the novelist from taking the reader’s pleasure into account even as it excludes the uses of the text from the domain of pleasure. The literary text in this worldview is the novel as guide, conduct manual, textbook, anthropological document, ethnographic record, and so on. This might account for the general air of dullness that clouds many African fiction. It certainly accounts for the undisguised moralistic intention that drives pretty much every African fiction out there with the exception of The Palmwine Drinkard. It accounts for the pedantic language. It accounts for the obsession with overburdening fiction with themes. It accounts for characters that are painted in such gigantic strokes just so they can model abstract themes. When you read some African novels, you feel ready to take an exam on corruption and extractive resources. Just as Virginia Woolf says about certain early 20th century novels, after reading certain African novels, you want to get out your check book and send a donation to a humanitarian organization. This cultural imaginary built on the novelist as teacher is joyless. It turns the act of reading into the study of social ills and moral virtue. This idea of fiction, however good the intentions that inspired it were, is based on problematic assumptions about the power of the storyteller and the kind of reader it saw as the object of its power. A quick survey of mid to late century writing on African literary culture—from Ezekiel Mphahlele’s Image of Africa to Ngugi wa Thiongo’s Decolonizing the Mind—share the common tone of condescension to the reader, coupled with an almost megalomaniac notion about the power of the fiction writer. In the preface of Decolonizing the Mind, Ngugi writes, “a writer and a surgeon have something in common—a passion for truth. Prescription of the correct cure is dependent on a rigorous analysis of the reality. Writers are surgeons of the heart and souls of a community.” What sort of reader is implied where a writer is considered to be the “surgeon of the heart and souls of the community?” Between Achebe and Ngugi, African readers were either students or sick. These are all metaphors, of course. But metaphors aren’t the cute little wordplays we imagine them to be. They are sneaky little devices we use to say figuratively what we can’t say directly. What comes through from these images being used to explain what the writer does is power. The teacher and the surgeon are figures of power and knowledge. Writers who imagine themselves in these larger-than-life figurations—“if I were god,” writes Achebe—believed they had omniscient insight into the reader’s intention. They saw themselves as addressing a reader plagued by emotional battery, cognitive dissociation, racial inferiority complex, etc. The readers’ emotions, memories, perceptions, thoughts, fears, wishes were all defective due to the “the disaster brought upon the African psyche” by colonization. Decolonization became this therapeutic—educative, regenerative, revitalizing— project that could correct the broken psyche of the colonized as long as writers who saw themselves as experts of the imaginative arts were in control. Again, let me be clear. I am not saying that colonialism did not leave traumas. I am more interested in the ways in which African writers of this period imported the language of dysfunction into literature and used it as justification for arrogating to themselves and their writing a kind of sovereign power over the reader. Tethering creative practice to the dysfunction in Africa ensures that the African writer is kept in business. There was colonialism. Then there was neocolonialism and the collapse of African states. Just when we thought it couldn’t get any worse, there was HIV/AIDS in the midst of senseless wars. Through all this, there is the dutiful writer always present at the scene of crisis, ready to lend a hand. The idea of Africa in a perpetual state of emergency becomes ideological crutch for the writer who seems only to be able to justify his or her work as a response to crisis. Today, the new state of emergency is the crisis of representation propagated by western media, aptly referred to as “the danger of the single story.” 50 years ago, Achebe saw his “business as a writer” as teaching Africans how not to be shameful about their world. Today, African writers are in the business of teaching the world how not to write about Africa. Just thinking hypothetically here. What would African writers find to write about when we finally get to the promise land? What would they say to a readership they cannot prefigure as sad and broken? To put it bluntly, Achebe’s generation was not in love with the reader. Catering to what they imagined to be the reader’s needs is not the same thing as loving the reader as an equal, as a figure of inspiration, as flesh and blood with cravings and idiosyncrasies. They also did not know the reader because they could never see the reader beyond the readers ailments and defects. Interrogating these underlying assumptions, which informed the foundations of modern African fiction, is not nitpicking. It is a way of asking authors to be honest about the kind of reader they imagine when they compose their work and how this imagined reader defines the aesthetic decisions they make. If we are going to ask African writers today to take more risks with storytelling and stop rehearsing worn out themes and platitudes, we need to make sure they have the right kind of audience in mind and that they forge the right relationship with this audience. I do understand what it means to be where we are today, to have something called African fiction to cherish and share with the world, all of which came about because people like Achebe, Ngugi, Gordimer and that whole generation fought hard to create a space where none had been granted us. But examining the tools they used to clear this space is the only way we can figure out what new tools we need to open up new frontiers. It is striking that that the topics we discussed in those days with Achebe are still here and more unabashedly direct and bona-fide. When the great Nigerian writer Chinua Achebe died this April, one of the photographs used repeatedly to illustrate stories or obituaries was a portrait taken of him in 1959 by the American photographer Eliot Elisofon. 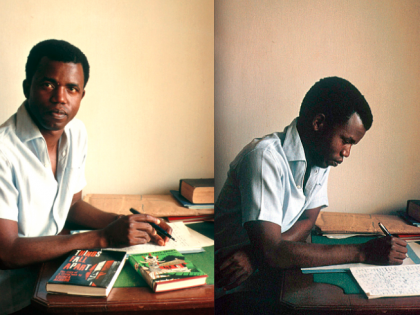 It is useful to unpack the image, a conventional portrait of Achebe leaning on a desk with two copies of Things Fall Apart in front of him. A photograph, a snapshot, the filtering of the lost moment, is always more than the visual graphics and the intended 'message' it proffers to mediate. “Age was respected among his people, but achievement was revered. 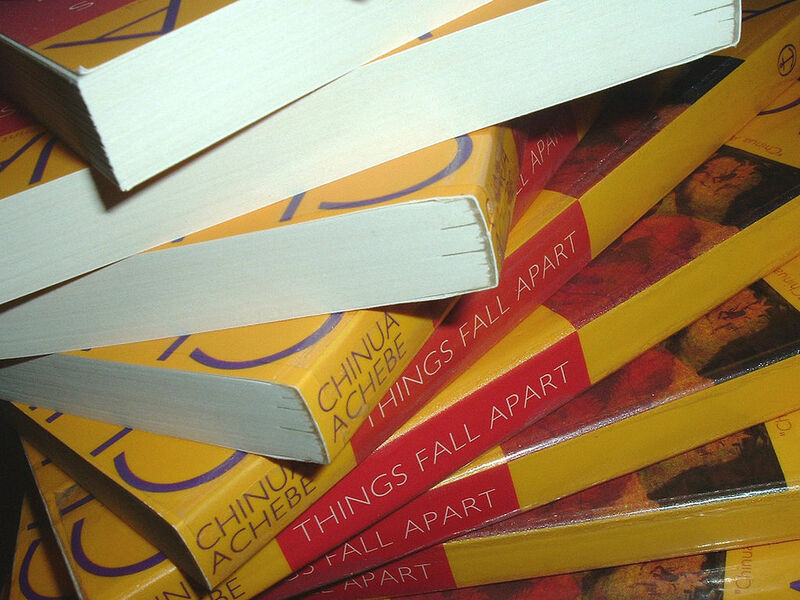 As the elders said, if a child washed his hands he could eat with kings.”– Things Fall Apart. 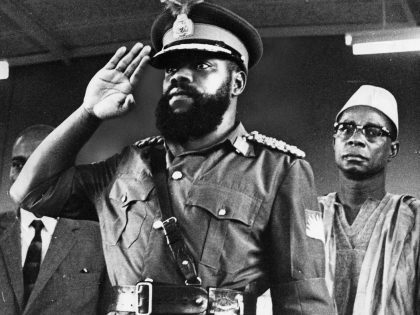 Achebe’s “There Was a Country: A Personal History of Biafra” reopened old wounds about the civil war.